This movie has great buildup, but seems muddled through the third act opening a lot of questions and they should have been answered. I am all for open-ended movies leaving the audience with possible scenarios to conclude with the characters; but towards the end it just leaves us questioning, "Why did they bring that up unsolved?" 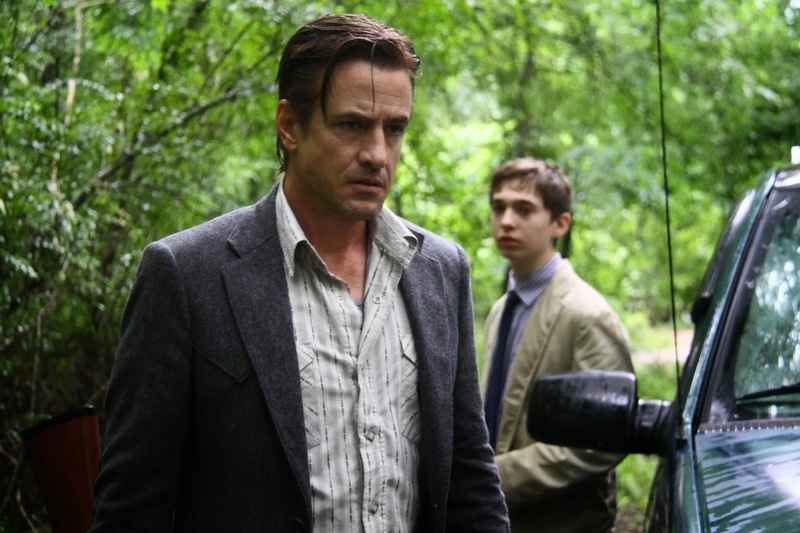 The directing is strong as Michael Cohn creates an atmosphere that is truly dark and twisted. I have to admire the sheer intensity that this film brings for the plot; it was truly gripping and never let go. But, towards the end when the plot is expanded after they get out of the woods it spirals out of control and...just ends. I rarely say this, but I really wish the director could have written at least 15 minutes more to kind of wrap up certain plot points. Not all, but some would have been nice. Cohn does show us these characters as they make bad decisions in the moment and keep digging themselves further into a hole, and by the end, they try to make it right but everything spirals out of control. So, I will give it to Cohn for developing good characters and exploring the notion of what it might be like when people make bad decisions when under pressure. The tail end of the movie is a plot point that is extremely dark and kind of comes out of nowhere. If they would have hinted at developed it more in the beginning then I would have been okay with it. I was feeling a bit disturbed when I left the theater, so the director did a pretty good job leaving me feeling something. The acting is ok at best. Austin Abrams annoyed me and it felt like he was trying way too hard. Luke Kleintank played a great main character, but his friends in the film were ok. Dermot Mulroney plays the drunk, father pushing his football-playing son to pick a great college for a full ride and be set for life. Trust me, I know a lot of Texas football fathers like that. Dermot does a great job and he is one of the shining spots showing his consumption of how much he wants to live through his son, while his younger son feel neglected. He played a bad father pretty well. The cinematography adds another layer of richness to this messed up story. The scenes shot out in the woods were beautifully and haunting with shadows and it looked like a film noir at some points. Some of the shots in the rain were nicely lit and during the day the deep browns and greens of the woods are saturated and really compliment the bad situation the characters are going through. It really created an atmosphere to elevate the story. The pace of the film is really tight and it grapples onto you, but as stated above, it could have been 15 minutes longer and I would have been fine with it. With that said, the film we were presented in front of us was very suspenseful to keep you guessing and on edge to see the conclusion.